No doubt iMessage is a great application for iPhone users and a lot of users are enjoying its features. Anyone can use this application for sending and receiving messages on iOS or macOS device. Although iMessage is updating after the interval of weeks and new features are introducing in it, but still there are many helpful alternatives are available in the market. There are uncountable apps available which can do the same as iMessage and also have many more features for user satisfaction. 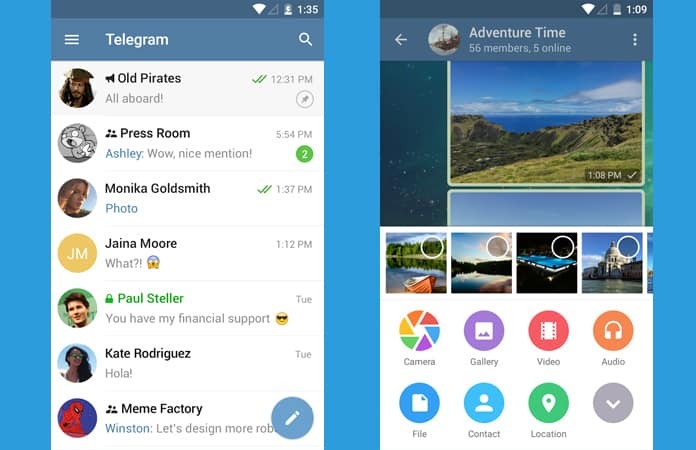 You can see much essential and more famous of iMessage for Android alternatives in following. If you are iMessage lover but you want to have this app on your Android device then this post is the right for you. Read the best iMessage for Android alternatives you need to have on your phone. 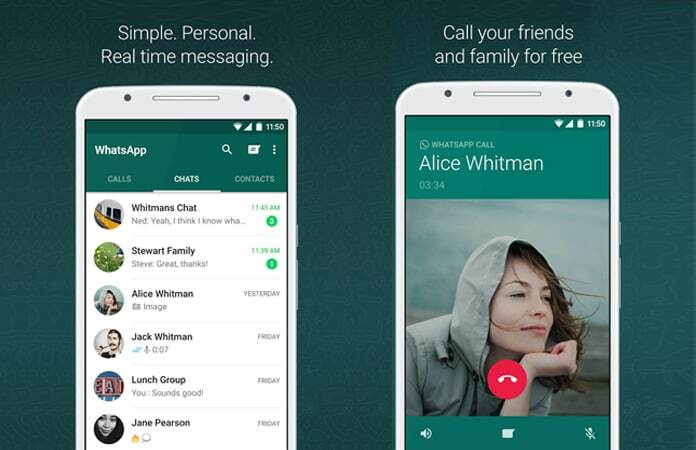 WhatsApp is widely used app and has its significant impact in the market. It offers the fast exchange of text and audio messages. It also allows making audio and video calls without any cost. You can set your written status and also images or video status. You can see your current location and can share documents and other crucial secret information. As the communication is secured with an end to end encryption, therefore, you do not need to worry about its security. Additionally, like many other apps, you can see whether your message has been delivered to your recipient and when your recipient was online last time. Thus, it is a cool and amazing application which is installing on hundreds of new mobiles regularly. Facebook messenger is well famous and highly enjoyable app which comes with several options. This app allows you to message, audio and video calls and much more. It has many interesting and continuously updating and enhancing features. It comes up with GIF keyboard, sticker packets, and Memes. You can manage it as your default SMS app and enjoy all of its valuable features. Using this app, you can connect with anyone in the world and can find your known individuals in a single click. This app stands at the top because of its rare super features which are not available to any other messaging application. This is another app which can be a good iMessage alternative for Android. You can efficiently use it for sending and receiving instant messages. Additionally, as this app runs on a web server, so you can use it on multiple platforms including your PC, mobile, tablet or anywhere else too. It includes much-populated sticker store and other bots which can make this app a fun to use again and again. This app also allows you to get and play different games inside it without any fixing problem. PushBullet is another application which is getting its popularity. This allows all features which are available in iMessage, therefore, it can be a right alternative of iMessage. You just have to install it, and you can text to anyone. You can control and use your PushBullet account through any platform which includes mobile, desktop and tablet. It is available for all browsers and has much importance in communication. 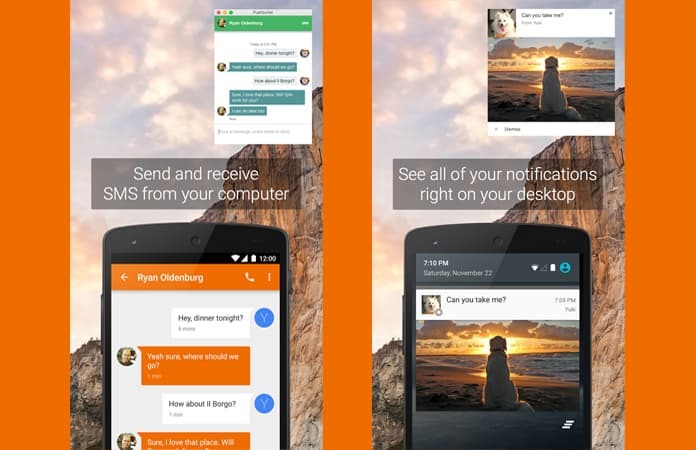 The free version of PushBullet allows you to send 100 messages per month. If you require sending more messages, you have to pay to get Pro subscription. So, after Pro, you can send unlimited messages to anyone without any hurdle. 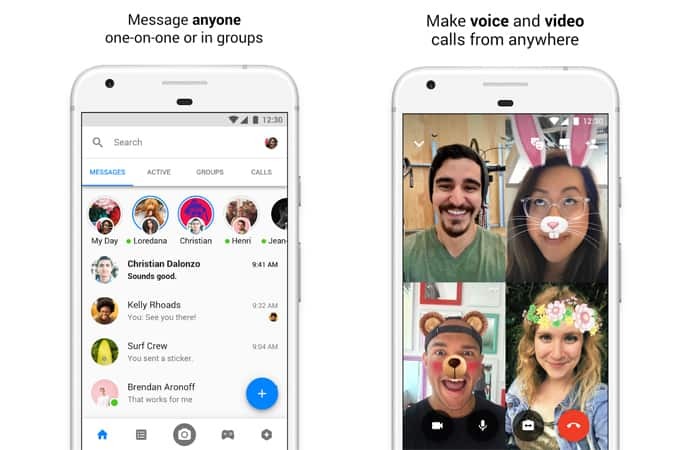 Google Allo is a smart messaging app that helps you to chat more with your friends and family. You can express yourself better with stickers, Smart Reply, and HUGE emojis and text. If you use Smart Reply option, you can respond to messages without typing a single word. This option learns over time and suggests responses to text and photos, in your style. 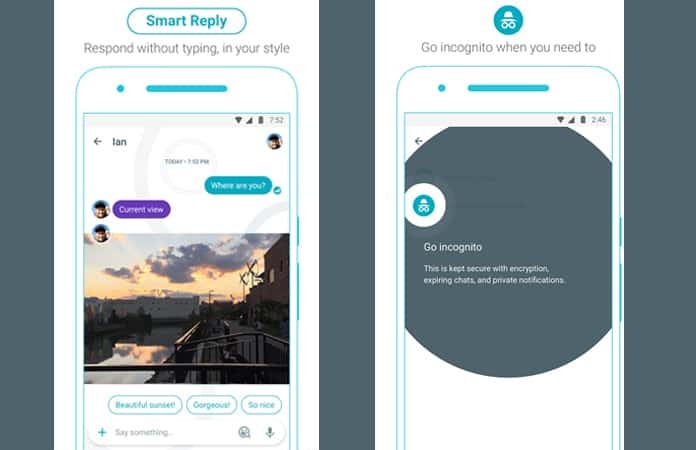 With Google Allo, you can send messages with end-to-end encryption, control how long your messages stick around with expiring chats and use private notifications to help keep your chats safer. 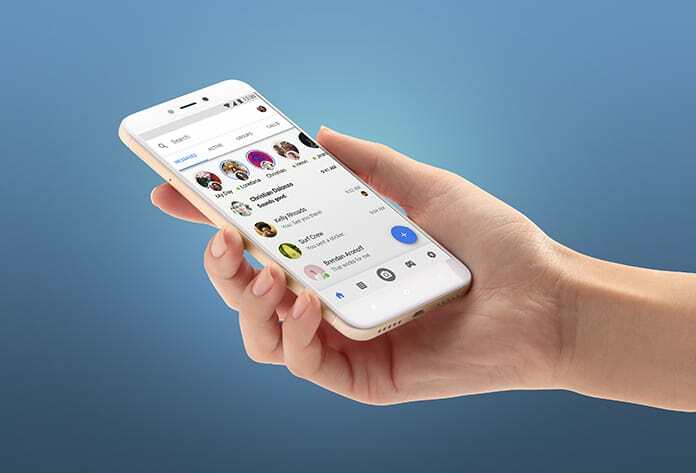 Viber is one of the best iMessage for Android alternative, which allows you to message or call anyone in the world through your Internet connection. 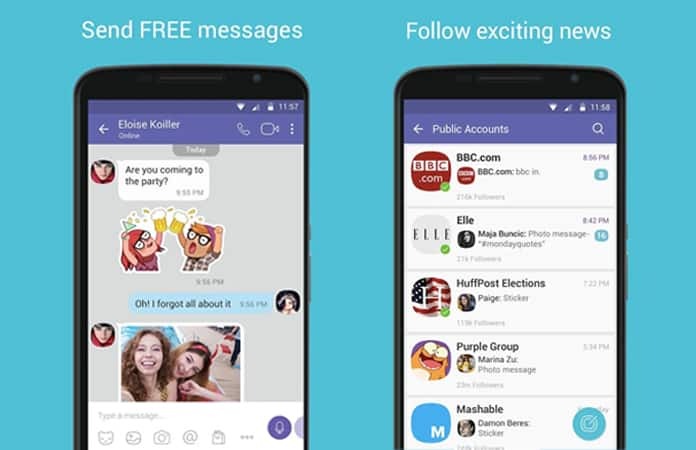 You can send a text message to friends and family with Viber Messenger. Using Viber’s live video chat or voice call you can call your loved ones for free. With Viber, you can express yourself with cool stickers and emoji icons, share photos, and send your favorite videos. You can use Viber to send a text message or take advantage of the other amazing features that Viber offers beyond just free messages. You can also share photos and videos, record audio messages, enjoy emoji icons and cool stickers and even send files. We hope that you liked our list of the best iMessage for Android alternatives. Feel free to leave your comment in the section below.